As a parent, it’s important to model healthy behaviors for your children. Children are more likely to lead a healthy lifestyle and less likely to associate stress with unhealthy behaviors if the whole family practices healthy living and good stress management techniques. So, ask yourself ― How do I respond to stress? Do I tend to overeat or engage in other unhealthy behaviors, such as smoking and drinking alcohol, when I feel stressed? In what ways could my stress coping skills be improved? If you notice that your children are looking worried or stressed, ask them what’s on their minds. Having regular conversations can help a family work together to better understand and address any stressors children are experiencing. Low levels of parental communication have been associated with poor decision making among children and teens.1 Talking to your children and promoting open communication and problem solving is just as important as eating well and getting enough exercise and sleep. Your home, work space and even social environment can influence your behaviors. Altering your environment can help alleviate stress. For example, cleaning up a cluttered environment can help. Look around your home and even your car and ask yourself, does this space feel clear and relaxing? Clearing up your home space for the family is something you and your children can control, and it teaches children to focus on those things they can control when feeling stressed. The correlation between health, obesity and unhealthy choices is strong. 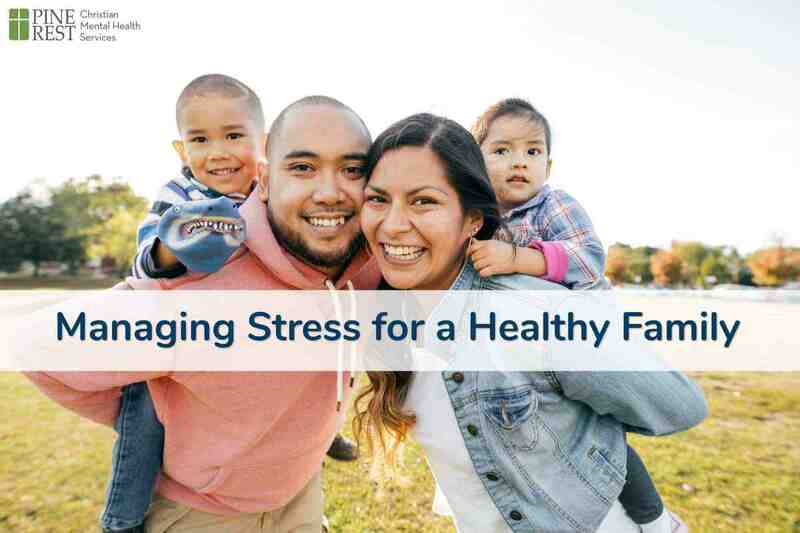 When you and your family are experiencing stress, make a conscious decision to take care of yourselves. Get adequate doses of nutrients, physical activity and sleep. When you feel overwhelmed it is easy sometimes to fall into cycles such as eating fast food, plugging into sedentary electronic activities like playing video games or watching TV, or not getting enough sleep. Research shows that children who are sleep-deficient are more likely to have behavioral problems.2 And, parents have an extraordinary amount of influence on their children’s food choices.3 A healthy dinner followed by an activity with your family, such as walking, bike riding, playing catch or a board game, and topped off with a good night’s sleep can do a lot to manage or to lessen the negative effects of stress. You may aspire for your family to make multiple important changes at once such as eating healthier foods, being more physically active, getting a better night’s sleep or spending more time together. However, if you are already overextended from juggling many different responsibilities, doing all of this at once can feel overwhelming. Changing behaviors usually takes time. 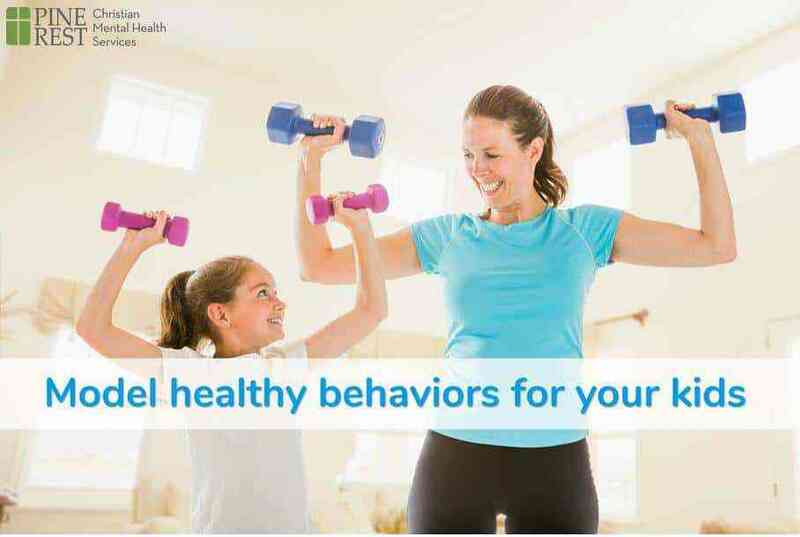 By starting with changing one behavior, you and your family are more likely to experience success, which can then encourage your family to tackle other challenges and to continue making additional healthy changes. For more information on stress, visit the APA Helpcenter.